Caldwell, Idaho is the county seat of Canyon County and considered part of the metropolitan area of Boise, Idaho. 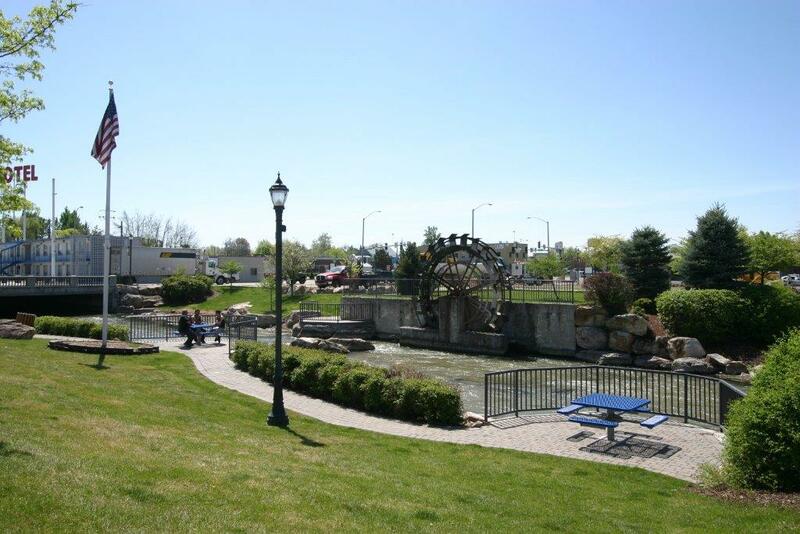 As you approach the picturesque Treasure Valley area from the west, the entrance city of Caldwell will welcome you. It has a population of over 26,000 sincere and friendly people who are prepared to greet you. In addition, Homes for sale in Caldwell are some of the most affordable in all of the Treasure Valley. Caldwell real estate in this historical district includes many homes that are on the National Register of Historical Places. The neighborhoods include green belts and walking paths for your recreational enjoyment. You’ll also find over a dozen city parks that offer swimming, softball, soccer, and volleyball; some have playground equipment. A group of individuals who live in Caldwell, Idaho have formed the Caldwell Historic Preservation Commission. This group is dedicated to improving the City’s character by preserving its cultural features. One of their initial targeted areas is the Stuenenberg Residential Historic District, which was named for a former Idaho governor who was assassinated. Their plans also include the preserving other residential areas which have historic integrity, including the downtown area. One of their goals in this preservation effort is to encourage harmony and compatibility in the planning and development of new development and construction in keeping with the district’s historic character. In fact, all land use actions which require a development or building permit are subject to a design review process conducted by the Caldwell Historic Preservation Commission. Caldwell is fortunate to have Indian Creek running right through the heart of the city making it a mini San Antonio Texas. Many years ago the creek was covered with concrete and pavement to make way for progress. Mayor Garret Nancolas began an aggressive campaign back in 2002 to remove the pavement and concrete and expose the beauty of Indian Creek. The Indian Creek Festival was started in 2002 and attracts thousands of visitors each year to this natural wonder. My heart swells with pride when I talk about The College of Idaho. Being a native of Caldwell Idaho I have had the privelidge of working with many students, graduates and alumni of the College of Idaho. There is a “marked difference” in the graduates of the College of Idaho and I have spoke of this often. The Liberal Arts College constantly receives acclaim from it’s student body. The average class size is 10 students per class and the student/faculty ratio is an astonishing 11:1. While visiting friends in New Hampshire in January of 2008 I spoke proudly of The College of Idaho. After showing my friends the college’s website they were in awe of what this little gem in Caldwell called “The College of Idaho” has to offer. I have talked about the Homes for sale in Caldwell and many of the homes around the College of Idaho are on the Historical Register. Outdoor activities are easy to find in Caldwell. Golfers can choose from two outstanding golf courses, The Fairview Golf Course which is 9 holes and and Purple Sage Golf Course, a beautiful 18 hole course which has hosted the Stat Amateur tournament several years. and downhill skiing atBogus Basin is less than an hour away. The Caldwell Night Rodeo has been recognized as one of the top PRCA rodeos in the nation. Having been in Rodeo for many years as a youth I can honestly tell you that the Caldwell Night Rodeo is one of the most genuine and down to earth Rodeo’s you will attend and the professional cowboys have a deep respect and love for this annual Rodeo which is held in August each year. The arts are alive and well in Caldwell, too. Caldwell Fine Arts (CFA) was founded in 1961. It exists as a combined effort of community leaders and leaders at the Albertson College of Idaho. CFA’s mission is to offer world-class entertainment. That entertainment has included a wide range of events to enjoy including theater, chamber music, opera and ballet, among others. Performances are held in the Jewett Auditorium located on the college campus. The auditorium was designed specifically for excellent acoustics, and will seat 900 people. St. Chappelle Winery of Caldwell will take you back to Europe without even leaving the state! Nestled in a the the breathtaking area known as “SunnySlope” which is located S.W. of Caldwell, St. Chappelle has grown to be one of the most respected wineries in the world. A beautiful Château surrounded by hundreds of acres of vineyards is something to behold. Life in Caldwell Idaho offers the best of both worlds – quiet, comfortable family living in balance with access to top-notch recreation, noted universities, and short commutes into cosmopolitan areas. Within a short air flight to major cities throughout the Northwest, Caldwell’s easy access and laid-back lifestyle are especially attractive to companies when recruiting and retaining employees is important. Many companies are drawn to Caldwell due to the work force, affordable land and affordable Homes for sale in Caldwell. Caldwell ID real estate provides prospective homebuyers with a wide variety of homes in an area of growth and development, and in an area where you’ll never want for recreation.